I love baseball during the month of August. Not because Major League Baseball teams are jockeying for playoff position. But because of the Little League World Series. 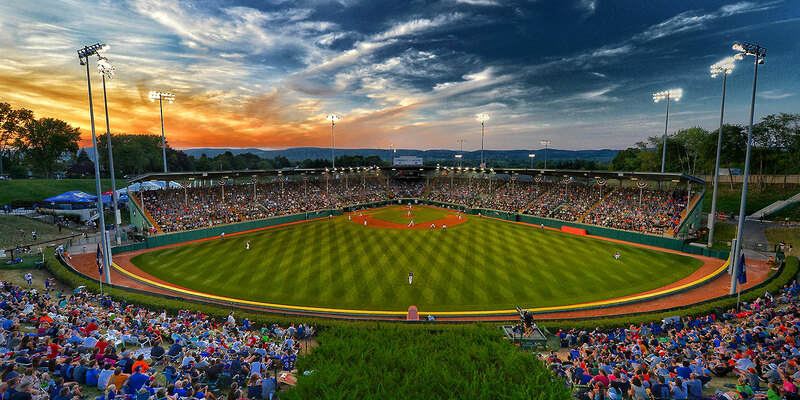 Every August, 16 of the best Little League baseball teams from around the world descend upon the Little League complex in Williamsport, PA to vie for the titles of United States Champion, International Champion, and World Champion. It’s awesome and here are some reasons why you should watch. The stories! While the domestic teams might have large groups of families coming to cheer them on, the international teams are not always so lucky. This year, the Dominican Republic team only had one parent come to cheer and support. To make the kids feel welcome and supported, fans from various other teams have showed up to cheer for the DR squad. To further enhance the sense of community created by the LLWS, all of the athletes and coaches live in an Olympic-style athlete village. There are dorms, cafeterias, game rooms, and plenty of space to allow the athletes to hangout and exchange cultures. This year, the LLWS has gotten an additional layer of cool. While ESPN/ABC give this event professional level coverage and exposure, Major League Baseball has decided to join in on the festivities. Tonight, the Pittsburgh Pirates will play against the St. Louis Cardinals in the minor league stadium in Williamsport, where the game will be attended by the LLWS players, families, and volunteers. The stadium holds less than 5,000 people, which is a far cry from the 30,000+ seat stadiums in the major leagues. But the event will put these young baseball players mere feet from the stars of the MLB. So, if you have nothing to watch on TV until Game of Thrones tonight, make sure you tune into the LLWS. You might watch a six-foot 13 year old launch a baseball into orbit. You might see some bad throwing and catching. And while the agony of defeat is tough for anyone to deal with, nothing compares to the joy of victory on the faces of these young athletes. Previous The Kids are Alright, it’s the System that’s Fucked. Next America at War – Will They Ever Learn?